Fidel Castro spoke in Havana in 2004. Fidel Castro, the bearded revolutionary icon who imposed socialism on Cuba and survived assassination attempts, an invasion, and isolation as the stubborn nemesis of 10 US presidents, has died, according to an official announcement by Cuban state television late Friday. Mr. Castro was 90. Mr. Castro seized power in 1959 in an insurgency that ousted the corrupt, US-backed government of General Fulgencio Batista. Purging Batista loyalists and alienating US business interests and wealthy Cubans, Mr. Castro’s revolutionaries took control of industry, expropriated private assets, and nationalized land holdings, spurring an exodus of wealthy Cubans to the United States. 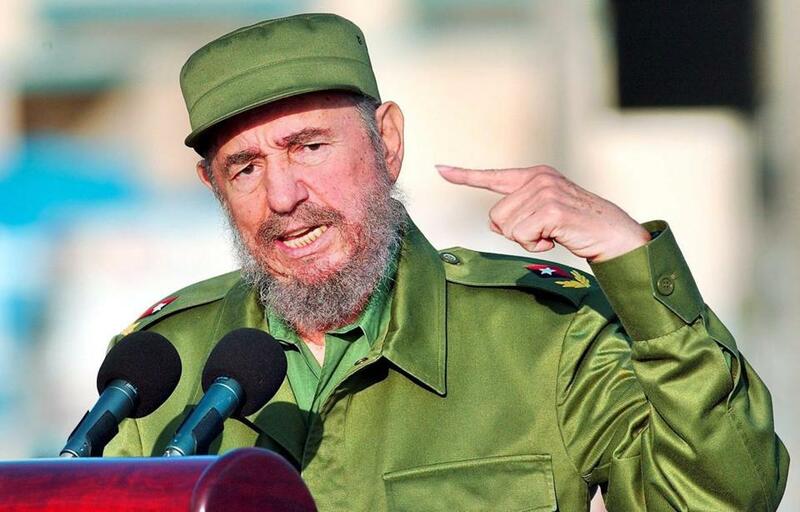 A charismatic and commanding presence instantly recognizable for his bushy beard, rumpled olive-green fatigues, and shin-high black boots, Mr. Castro won over the masses by preaching an end to social inequities and by making health care and education free. He made an enemy of Washington by seizing US assets on the island, allying himself with Soviet leader Nikita Khrushchev, and bringing Washington and Moscow to the brink of nuclear war during the 1962 Cuban missile crisis. In 1962, did a mistake save the world? John F. Kennedy relied on a history book to guide him in the Cuban Missile Crisis — and we now know that book was wrong. An almost mythical figure for loyalists at home and leftist ideologues abroad, Mr. Castro was lionized for standing up to the United States, aiding socialist movements around the world, and staying the communist course despite the collapse of the Soviet Union. In equal measure, he was demonized by exiles, defectors from his regime, and successive administrations in Washington as a tyrannical dictator who isolated his island from economic progress and brooked no dissent. Human rights groups condemned him for outlawing opposition groups and muzzling the press, killing “counter-revolutionaries’’ in the early years of the regime, jailing and harassing dissidents, and forbidding most Cubans from contact with the outside world. Famous for rousing, often rambling rhetoric, Mr. Castro held forth in epic, sometimes hours-long speeches. Until the end, he extolled achievements of the revolution and warned about the cruelty of capitalism and plots to invade the island and restore the oligarchy; the main targets of his vitriol were the US government and the anti-Castro Cuban-American community in Florida. Fidel Castro Ruz was born Aug. 13, 1926, on his father’s sugar plantation in Birán, in eastern Cuba. He was the third of several children born to Ángel Castro, a Spanish immigrant who became a wealthy sugar cane and cattle farmer, and housemaid Lina Ruz, whom Mr. Castro’s father eventually wed.
As a teenager, Mr. Castro is said to have changed his middle name to Alejandro, in admiration for Alexander the Great, the Macedonian conqueror. Mr. Castro attended Jesuit boarding schools, a formative experience he credited with both sharpening his mind and fostering a sense of commitment. He studied law at the University of Havana, where he became fascinated with politics and was exposed to campus gangs that condoned violence for political ends. In 1948, he visited Bogotá, Colombia, for a student congress and got swept up in the chaos and a nascent and failed insurrection that followed the assassination of a leftist Colombian political leader. It was an event that biographers say helped transform a student into an advocate of guerrilla warfare and, eventually, a warrior. “He learned you’ve got to be organized. Select well whom your allies are,’’ Dominguez said, adding that those lessons echoed the writings of one of his favored revolutionaries, Vladimir Lenin. When Mr. Castro returned to Havana, he married MirtaDíaz Balart, who hailed from an elite family. They had a son named Fidel in 1949 and divorced in 1955. Mr. Castro graduated with a law degree in 1950 and began a practice specialized in defending poor people whose properties were being seized by the government. Fiercely critical of corruption and dedicated to social reform, he became a candidate for Parliament in 1952. Elections were cancelled following a coup by Batista. In response, the young lawyer sued Batista for violating the constitution. The court rejected the claim. Sentenced to 15 years in prison, he was released in May 1955 as part of an amnesty. Taking exile in Mexico, Mr. Castro met Ernesto “Che’’ Guevara, an Argentine-born doctor and socialist who became one of Mr. Castro’s trusted lieutenants and began organizing exiles into the 26th of July Movement. 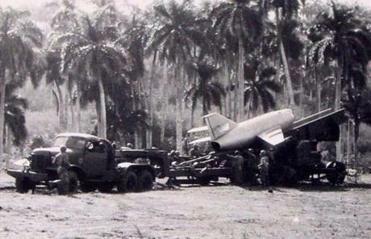 In a Mexico City cantina in 1956, they concocted another scheme to overthrow the government, and in December, 82 rebels sailed for Cuba aboard a pleasure yacht built for eight called “Granma.’’ Many were killed, but the survivors escaped into the Sierra Maestra mountains in eastern Cuba, where they raided government arsenals for weapons and launched chaotic, small-scale attacks on Batista’s forces. At first, the revolutionaries were largely ignored by the Cuban public. When the economy began to sputter, however, Batista lashed out at the rebels and dissidents with a series of draconian measures. In response, students and urban intellectuals held strikes in cities in support of the revolutionaries. Sentiment began to turn against the general, particularly in the military. Disillusioned soldiers began deserting by the thousands, turning themselves over to the rebels at such a rate that they outnumbered their captors. In 1958, the US government withdrew its military assistance to the Batista regime, and after his forces lost a decisive battle, the dictator fled on Jan. 1, 1959. “This is really the army surrendering, not so much Fidel beating them,” Dominguez said, recalling those days. Days later, truckloads of Mr. Castro’s “bearded revolutionaries,’’ as they were described in newspaper reports at the time, rolled triumphantly into Havana, with a 32-year-old Mr. Castro standing erect in a beat-up Jeep, a rifle in one hand and a cigar in the other. In a bid to build support for his emerging government, he gave soaring speeches, about one every other day. “We overthrew the tyranny to free the people from murder, torture, and oppression and from misery,’’ he said in a speech before tens of thousands on July 26. “This is the secret of our revolution, of the power of our revolution, which turned its eyes to the most humble to help them. His ability to fiercely fuse a sense of purpose, national pride, and defiance in his speeches won over Cubans. The new government 90 miles south of Florida was initially recognized by President Eisenhower, but friction quickly grew as Mr. Castro began seizing property owned by major US corporations, offering scant compensation, and arresting and executing Batista supporters. Mr. Eisenhower snubbed Mr. Castro when the Cuban leader visited the United States on a charm offensive in April 1959, leaving Vice President Nixon to greet him and report that he was “naïve’’ but not necessarily a communist. In Mr. Castro’s early months, the government slashed rents for the poor, confiscated and redistributed land, including Mr. Castro’s family plantation, nationalized utilities, and abolished segregated facilities. By October 1959, the United States was plotting to overthrow the Castro government, according to declassified national security documents. In January 1961, Eisenhower severed diplomatic ties, and on April 17, with the approval of a newly inaugurated President Kennedy, a CIA-trained force of 1,400 Cuban exiles launched an invasion at the Bay of Pigs. Mr. Castro repelled the assault, burnishing his stature as a giant-killer and cementing his ties to the Communist bloc. Two weeks later, in his May Day speech of 1961, he declared to a cheering crowd that Cuba was socialist and abolished elections, saying opponents of the revolution had to be stopped. The United States imposed a trade embargo that remains today, although it has been gradually weakened under the Obama administration. In October 1962, Mr. Castro became the center of world attention during the Cuban missile crisis. After discovering the Soviets were setting up long-range ballistic missiles on Cuba, Kennedy imposed a naval blockade and prepared for attacks. Mr. Castro urged Khrushchev to launch a nuclear strike if Washington invaded Cuba. For 13 days, Americans prepared for a nuclear exchange, until Khrushchev agreed to a deal to remove the missiles. It was later revealed that the United States secretly agreed to remove nuclear installations in Turkey. A steadfast ally for the Soviet Union for decades, Mr. Castro’s Cuba would eventually surpass its patron in supporting communist guerrillas and governments in the restive lands of post-colonial Africa and Latin America. For such a tiny island nation, its influence in these corners of the world was immense. Over the decades, Mr. Castro sent soldiers, advisers, and equipment to bolster socialist uprisings in about two dozen countries, including Mozambique, El Salvador, and Nicaragua. Mr. Castro also sent doctors to serve dozens of nations, and in many poor parts of the developing world, he is considered a champion of the underclasses. Toward the end of his tenure, Mr. Castro formed a close friendship with then-President Hugo Chávez of Venezuela, inspiring the former colonel to adopt socialism and brokering a deal that sent Cuban health workers there in exchange for 90,000 barrels of subsidized oil a day for Havana, reportedly allowing Mr. Castro to sell the excess for a profit. Over the years, the CIA attempted to sabotage, assassinate, or humiliate Mr. Castro, with failed plots ranging from an exploding cigar and a fungus-lined wetsuit to contaminated shoes intended to make his beard fall out. The CIA even offered the Mafia $150,000 to kill him. By some estimates, Mr. Castro survived more than 600 attempts on his life. With his domestic policies, he placed every aspect of life, from education to the media, under Communist Party control. Cuba’s literacy rate soared and its doctors and medical facilities were considered among the best in Latin America and its levels of indigence among the lowest. But the regime also created labor camps for opponents and “deviants.’’ Human rights groups estimate that between hundreds and thousands of “counterrevolutionaries’’ were killed in the first seven years of Mr. Castro’s rule. He established a Soviet-style security force that, while reducing street crime, spied on citizens’ activities. Huge numbers of Cubans who suffered repression or economic privation have fled the island illegally, risking prison or death if caught. An estimated 250,000 of a population of 6 million left in the first few years. Another 260,000 were airlifted out by the United States between 1965 and 1973. In 1980, Mr. Castro responded to a mass uprising by allowing dissidents to leave Cuba, encouraging criminals and mental patients to join them on overcrowded boats. In what came to be known as the Mariel Boatlift, 125,000 Cubans — including 25,000 with criminal records — landed on Florida’s shores. During an economic crisis 14 years later, another 32,000 disaffected Cubans commandeered rafts, boats, inner-tubes, and hollowed-out car bodies to sail for US shores before Mr. Castro prevented more from following. The collapse of the Soviet Union in 1991 created severe economic hardships for Cuba, spurring disaffection even among loyalists. Facing billions of dollars of losses in trade and subsidies, Mr. Castro opened up some of Cuba’s real estate and tourism industry to attract foreign investment. He legalized US dollars, limited self-employment, private restaurants, and farmers’ markets, later rolling back some of the reforms. In November 1999, Mr. Castro reprised his role as an old thorn in Washington’s side, demanding the US government return Elián González, a 5-year-old boy who survived a boat wreck that killed his mother during an escape from Cuba. The bitter debate dragged on for months, pitting the exile community against its archenemy in Havana. Finally, US officials stormed the home of the boy’s relatives in Miami and reunited with him with his father in Cuba, an outcome that was seen by many as another victory for Mr. Castro, unbowed after 40 years. With the end of the Cold War, the liberalization of Russia’s and China’s economies, and a worldwide shift toward global trade, Mr. Castro’s communist rhetoric no longer carried the same thunder. Though he still rallied throngs of supporters at hours-long outdoor rallies, his narrow, 6-foot-tall frame showed signs of fraying health. In 2001, he fainted during a speech; three years later, he fell during another, breaking two bones. An acute infection in his colon forced him to temporarily transfer his power to his brother, Raul, and Cabinet ministers in 2006. Two years later, he stepped down as president, ending one of the longest, and most enigmatic tenures in the 20th century, and turning over power to his brother, Raul. In February 2013, Raul announced that he would retire as president in 2018 and named newly minted Vice President Miguel Diaz-Canel as his successor. Mr. Castro receded from the spotlight in his final years, except for occasional appearances to greet visiting heads of state or to attempt to dispel rumors about his declining health. He fitfully wrote short columns for the Cuban media. Also, the orator famous for hours-long speeches opened and maintained a Twitter account; his tweets were usually only links to other media, not 256-character bits of revolutionary prescriptions. Mr. Castro was fiercely private about his personal life. According to a videotape smuggled out by an ex-girlfriend of one of his sons, he lived mainly in a Havana family compound with a small pool and a giant television, but few other luxuries. He was described by associates as a fan of baseball, fine wines, literature, and classical music. He gave up his emblematic cigars years ago for health reasons. Mr. Castro had five sons with his longtime companion, schoolteacher Dalia Soto del Valle. He also fathered a daughter, Alina Fernández, from an affair. His brother Raul Castro negotiated an opening with President Obama on Dec. 17, 2014, and the two nations announced they would move to restore diplomatic ties. The two nations are on a path to normalization, a remarkable development punctuated by Obama’s speech in March at Havana’s historic Gran Teatro. Fidel Castro and Obama reportedly did not meet during that visit, but Mr. Castro left no doubt about his impressions of the development and Obama’s speech. In a tone dripping with scorn and packed with defiance, Mr. Castro scolded Obama in a 1,500-word letter titled “Brother Obama.’’ He accused the president of being patronizing and ignorant of history. Michael Bailey of the Globe staff contributed to this report.